Are your friends and relatives only talking about their Marmaris trip and sharing photos on social networking sites? Are you toying with the idea of spending your next holiday in Marmaris? That would be a good decision keeping in mind all the things you can do and see there. 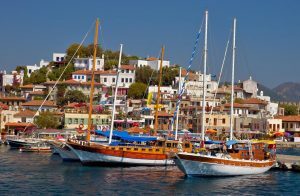 If you are still not convinced, here is a lowdown on Marmaris and what makes it so special. You must have seen innumerable photos of Marmaris beach and the promenade. Well, Marmaris is famous for its beaches and you cannot miss them. Take a stroll down the beaches, enjoy the views and taste the local food along with your favorite drink. The water sports are quite adventurous. Parasailing, scuba diving, kayaking and surfing – there are endless things to indulge yourself. We would advise you to go for hiking in the mountains. The hiking trails would take you through small villages. As you enjoy the panoramic views, don’t forget to look for the rare birds and animals that inhabit these mountains. You can go on jeep safaris that take you to the mountains through dusty village roads. The view from the top of rolling Turkish hills would be worth the effort. What about a decent Marmaris Boat Trip , make sure that you are ready for lots of sun and fun. There is a small but well preserved castle in Marmaris that is worth visiting. The castle had stood the test of time and bore many historical assaults. Today it houses many archeological and ethnographical exhibits and an art gallery that speaks volumes about Turkish art and culture. Not to forget, the views of the sea and the town from the castle are breathtaking. The Cleopatra Island is another place that enthralls visitors. You will enjoy the journey on a traditional Turkish boat and like the golden beach. The local myths claim that Cleopatra swam in the waters of this beach. There are remains of Roman cities and walls that are interesting to study. 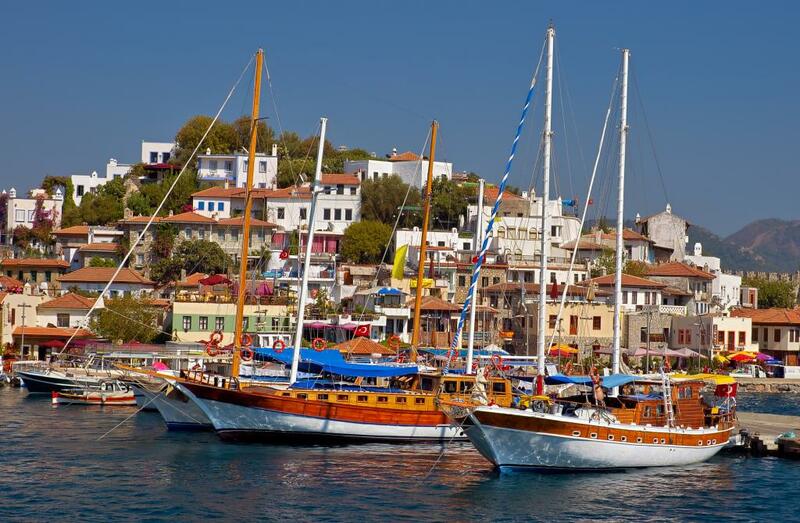 Marmaris was originally a small fishing village of Turkey. The harbor still bears signs of that old history with its traditional fishing boats and sail boats. You may want to explore the harbor and witness how a small and quaint village transformed into a bustling tourist destination. Did your friends rave about the Turkish nights? Well, you would also talk about the ones you attended. Turkish nights are gala entertainment programs complete with food, dance and music in Turkish style. Most restaurants and hotels organize these programs for their patrons. You will enjoy the belly dance and Turkish folklore and not to forget the pure Turkish cuisine and wine. Yes, you can literally shop till you drop and still remain unsatisfied. Turkish local markets are a sight in themselves with the local men and women selling handmade goods. Chat with them, know their lifestyle and buy goods from them. Yes, shopping becomes very engaging in Marmaris. If you prefer to shop in the comfort of a mall, there are plenty for you. The modern day shopping malls house international brands and you can pick your choice from there. So, with sightseeing and adventure sports and historical monuments and shopping, Marmaris is a complete package that promises full entertainment. Go and create your own memories. If you like the idea of having a holiday in Marmaris , then make your plans for this summer.